Everyone loves to see Billy playing his banjo on the seafront. Apart from the Bully Bunnies, who are up to no good . 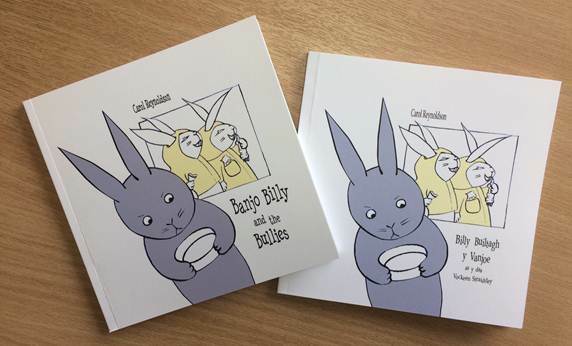 . .
Now available as a dual language book in English and Manx! Please email me to purchase a copy. Manx/English £5.00 +pp, English only £6.00 +pp.